DESCRIPTION OPEN HOUSE SAT APRIL 20TH - 1 TO 3 PM.. Exceptional Lake Bonavista Home with great curb appeal on a quiet street and South back yard. This home sides and backs onto a paved lane way, has an oversized 22' x 24' heated garage, min 40' long concrete RV pad and irrigation system. Beautiful hardwood floors adorn the main floor area, the kitchen space is massive and open to whatever renovation options you can come up with. There are 3 bedrooms on the main level, a completely renovated main floor bath (2018) with a 4' shower, a recently installed (2018) gas insert fireplace in the main floor corner brick fireplace, an additional gas fireplace is in the basement. Basement is completely finished with a large rec rm, area for a hobby rm, workshop, den and fitness area and 3 pce bathroom. Additional upgrades include windows, new furnace in 2009, shingles and siding. Large deck-space off the kitchen offers a natural gas hook-up for your bbq. 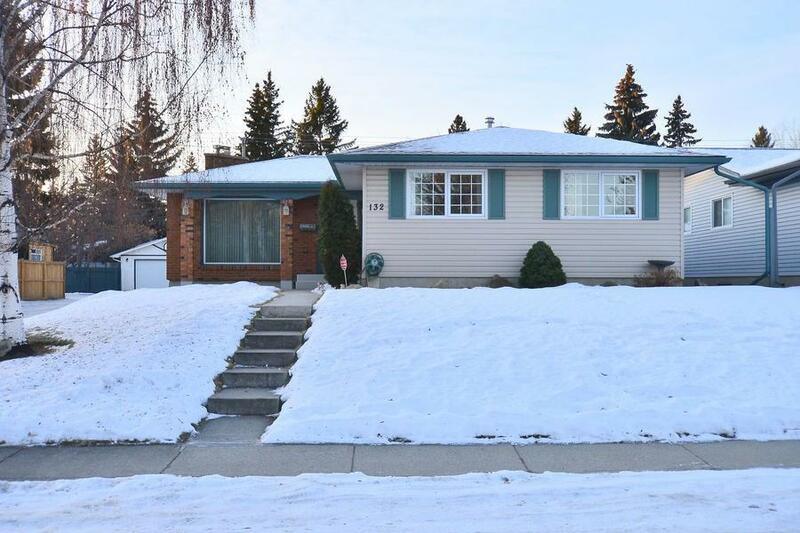 Home for sale at 132 Lake Linnet CL Se Calgary, Alberts T2J 2J1. Description: The home at 132 Lake Linnet CL Se Calgary, Alberta T2J 2J1 with the MLS® Number C4222269 is currently listed at $515,000.